Dodge City, KS–Following 30 years of service to Dodge City Community College, Vice President of Workforce Development, Anthony Lyons, is retiring August 1, 2017. A passion for education led Vice President Lyons to begin his career at DCCC on September 1st, 1987. He was initially hired as an Admissions Representative and, from there, he has held several positions, including Director of Financial Aid (1990), Associate Dean of Students (1995), Dean of Students (2000), Vice-President of Student and Community Services (2011), Vice President of Community and Industry Relations (2012), Vice President of Aerospace Programs and Industry Relations (2014) and, finally, Vice President of Workforce Development (2016). Vice President Lyons has been deeply involved and committed to education. He has taught history and political science courses every semester for the past twenty-eight years. 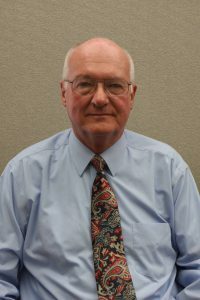 In addition, he has held several, professional committee chair positions in the Kansas Association of Student Financial Aid Administrators (KASFA) and the Rocky Mountain Association of Student Financial Aid Administrators (RMASFAA). Vice President Lyons was elected President of KASFAA in 2004 and he received several awards including induction into the KASFAA Hall of Fame (2009). He was elected Vice President of RMASFAA in 2005 and was awarded the Rocky Mountain Leadership Award by the National Association of Student Financial Administrators (NASFAA) in Washington, D.C. in 2007. During his years of service, Vice President Lyons reorganized the DCCC Chapter of the Phi Theta Kappa International Honor Society (1990) for two-year and community colleges. He was instrumental in organizing the DCCC honor society, the Order of Castile (2009). Although Vice President Lyons spent the majority of his thirty years employed in DCCC Student Services, he initiated the DCCCC Flight Instructor Pilot Program (2008), and played a significant part in developing the DCCC Electrical Power Lineman Program (2012).